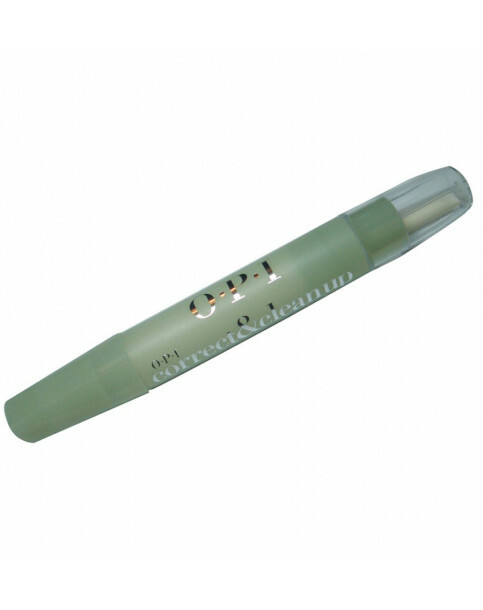 OPI Nail Corrector Pen is rated 5.0 out of 5 by 3. Rated 5 out of 5 by Shopwellgranny from Love this pen This pen is an absolute must for someone like me who is a complete amateur when applying my nail polish especially if using deeper shades.I tend to get it all over my fingers and around my nails this had made it so much easier for me not to smudge my polish whilst getting the unwanted polish off my fingers.I now have a neat finish.I especially like that it is refillable and I bought the remover to refill the pen also.It comes with a spare tip but I not sure if you can buy a pack of tips to replace these.Well done OPI. Rated 5 out of 5 by Pink belle from Great Product So pleased with this Pen, so easy to use and being able to refill a bonus. My nails looking so much neater, especially when using deeper colours. Rated 5 out of 5 by Peefer from Great tool ! Very pleased with Corrector pen, don't know how I managed before.